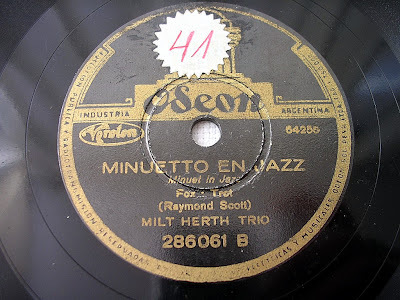 The Herth Trio included legendary keyboardist Willie "The Lion" Smith. The ensemble also recorded Scott's "The Toy Trumpet" in 1938. FastRMacR discovers where Soul Coughing lifted the cartoonish sample that yoyos through "Disseminated" on their album Irresistible Bliss. Dilla's Donuts, which throws a street slouch on Scott's "Lightworks," steers new fans to Raymond. We'd love Deerhoof even if one of the bandmates didn't claim to be influenced by Scott. Who knew? 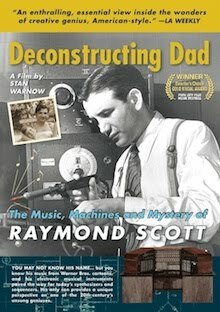 "Stuart Maconie's Freak Zone, my favoritest show on BBC 6 (or BBC Radio) will have a small feature on Raymond Scott on Sunday's show (Dec 9). All shows are archived." 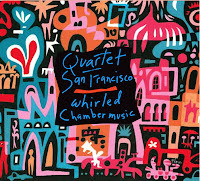 Quartet San Francisco's new CD, Whirled Chamber Music, which features seven rocking string quartet arrangements of Raymond Scott compositions, has been nominated for a 2008 Grammy Award in the Best Classical Crossover category. 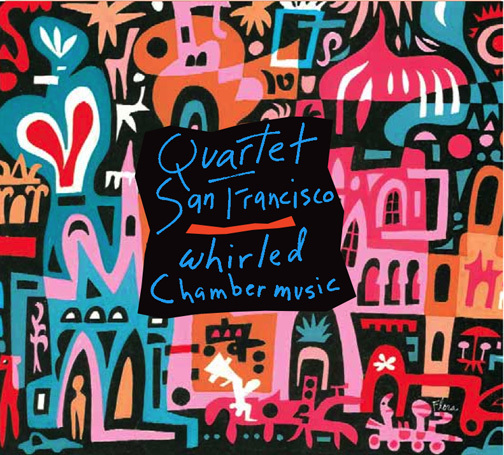 The AllMusic Guide calls Whirled "an extraordinary, strings-only counterpart to clarinetist Don Byron's Bug Music -- rapidly spinning, jazzy, contemporary-sounding chamber music." This is the second consecutive QSF project to achieve the distinction. Their previous CD, Látigo, was nominated in 2006. LA WEEKLY: One filing box is marked "Raymond Scott notes," Scott being one of the most important and underappreciated musical minds of the 20th century. [Mark] Mothersbaugh rescued much of the writing and paperwork from Scott’s garage, and though the two only met once, they seem like kindreds. 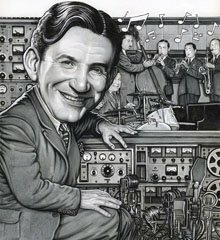 In the 1930s and 1940s, Scott composed wildly imaginative and mathematical big-band music before abruptly changing gears in the late '40s to start building early electronic instruments. He earned his living by using the machines to craft radio commercials for, among others, Vicks Medicated Cough Drops, Bendix ("The Tomorrow People") and Auto-Lite Spark Plugs. 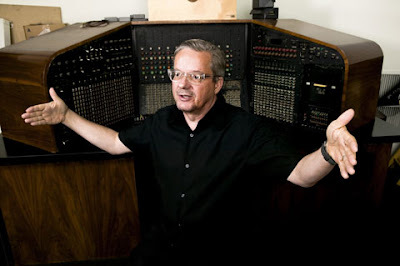 Standing majestically in one corner of Mutato's basement is perhaps the Holy Grail of early electronic-music instrumentation: Raymond Scott's legendary Electronium, considered to be the first-ever self-composing synthesizer, which Mothersbaugh purchased in 1996 and has vowed to restore. With "Scott," we were sort of aiming to do a nod to Raymond Scott, who we're massive fans of and we thought it maybe ... not to say it's as good as his stuff, but it sounded a little bit like that kind of, so that was it. The atmospheric track in the iTunes Store. Jeff Winner of RaymondScott.com applauds: "More ambitious than just sampling the real thing."